This is a little unknown really for paddling and not to many people are seen paddling on this river compared to number 1 and 2 on this list but this is partly why this place is so special. You have huge amounts of river to access and there is a very good chance you might not see another paddler for your whole session. If you time it right there is also a great fun small wave that is great for learning just make sure you get the tides right and this little novelty wave could be all your with no one else around!! 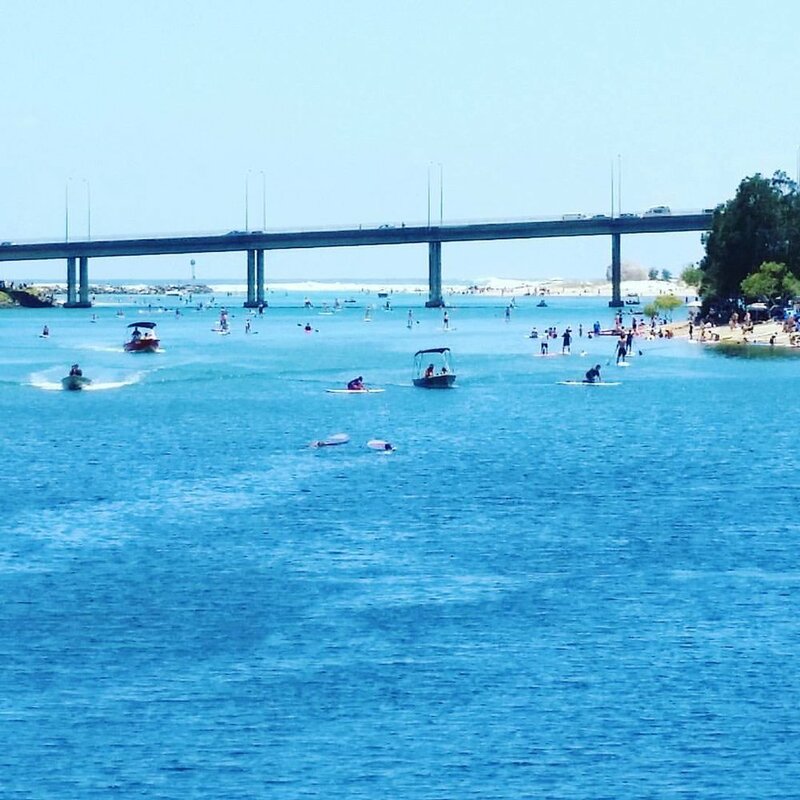 It can get busy but if you do paddle Tally then make sure you paddle just before the top of the high tide and paddle from the bridge to the mouth as this is just pure Gold coast magic!! You can surf the mouth entrance but it’s not so good on the out going tide can be a little dangerous so make sure you keep this in mind. Best with the incoming tide. It is one of the best places in the world where you can put your board in the creek and paddle up to the mouth and have pumping waves that are super fun and stand up paddle friendly. Currumbin has a water way that goes for about 7km from the mouth to the top area you can paddle and is a great paddle the whole way and if you get the tides right you can just drift along at your own perfect pace. In the mornings at 5am you will find up to 100 people training hard up and down the creek and out the front in the ocean all year round. The waves here are perfect for SUP and although sometimes crowded it usually has many take off points so you do have a great chance of getting lots of waves. Where ever you choose to go either 1 of these 3 awesome waterways are great for paddling. Combined with a nice Fast ONE race board you will cover all 3 waterways in no time and will be looking for more places to paddle. Come visit us at ONE Head Quarters about what board might suit you.